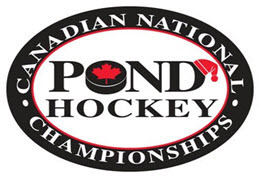 The Canadian National Pond Hockey Championship’s have been cancelled for 2015. This major winter tradition which has been a tradition for a long period of time & has thousands attend in Huntsville. The event won’t be happening this year due to weather, this is due to the unfortunate change in weather that Canada has on a regular basis now. In recent days the snow has all melted away in Ontario due to higher temperatures & frequent rain, resembling more of a spring season. This led to organizers having to announce the championships being canceled. The reasoning for the increased temperatures and frequent rain in Ontario, as well as the rest of Canada is due to the fact that the country is increasing by 4 Degree’s every year. This is leading to not just a change in temperatures but a small change in landscape. As the world continues to flip its polar caps, which is what many scientists believe to be happening countries such as Canada & Russia will become far more tropical while countries like Mexico & South Africa will resemble Canada’s winter, spring, fall and summer seasons. This is unfortunately this second year in a row in which this event has had to be canceled due to the rising temperatures. These hockey players, all one hundred and seventy-two teams as well as the volunteers, ice crews and viewers will need to come to face the reality that the climate of Canada & all northern based countries are changing at a rapid rate. Annual yearly events such as these will no longer be a reality on ponds.